The federal government has tried every manner of strange intervention to foolishly support the price of real estate. 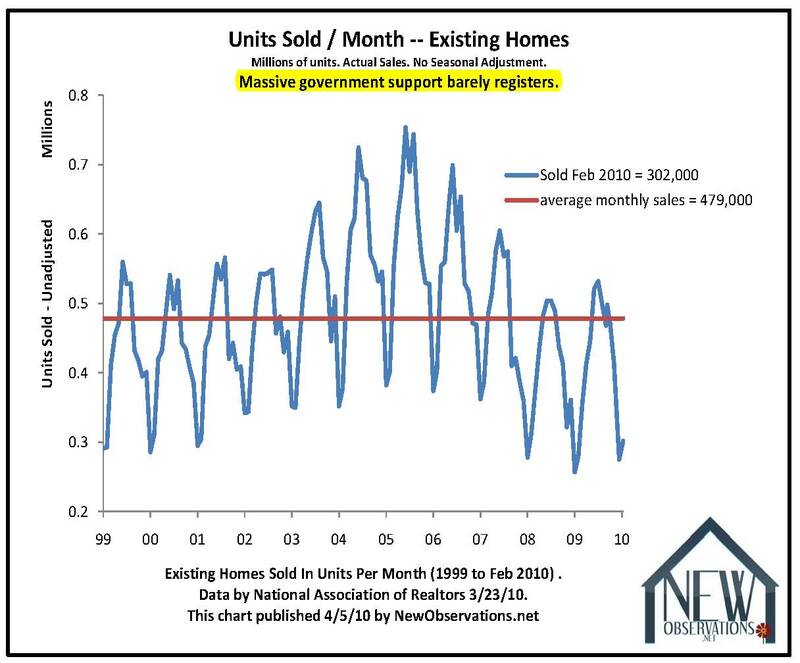 The trend in unit sales shows very little evidence of success (see below). 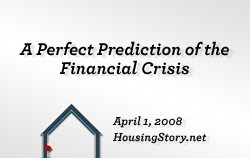 Setting aside for a moment the massive stupidity of trying to uphold pricing created by a delirious and mentally-retarded credit bubble, the feds have failed in one obvious area: They haven’t been able to make the monthly mortgage payment for 15 percent of homeowners. This wildly high number of individual financial failures makes the typical inventory of homes for sale petite and pretty. The consequences for the prices of homes is obvious. Massive new supply leads to massive new losses (see below). I don’t know what fraud they are going to think up to try to cover this up, but I know it will be as dumb as what they have already tried. The bubble began in 1990. For the last 20 years buyers bought a scam. The terms of the scam kept getting worse and worse until 2006. 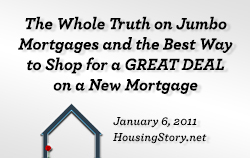 How many homeowners in the United States of Mortgage Fraud are living in a make-believe world of income-not-required lending and name-your-price appraisers? 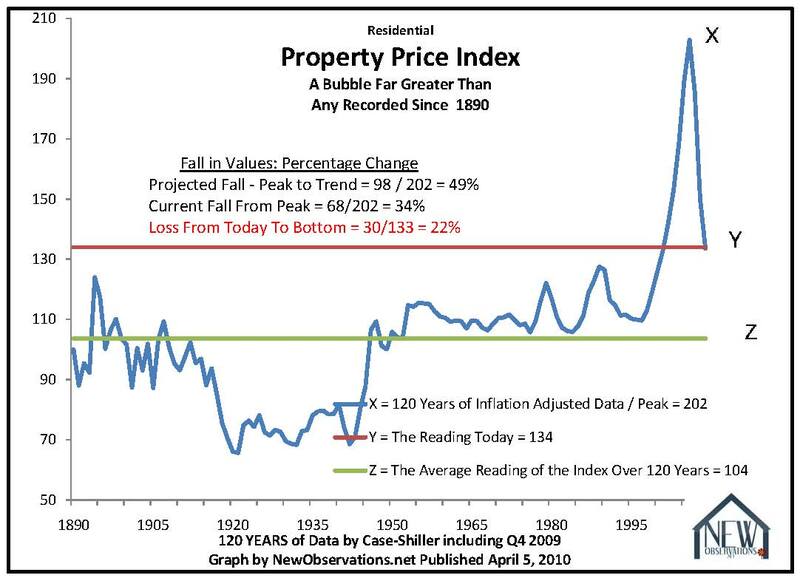 When do we return to a 120-year price trend (see below) which we ran away from 20 years ago? 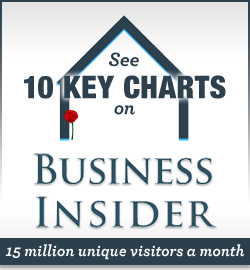 When will trillions of unaffordable mortgage debt be written off? When do we stop sending fools in to buy both their first home and their first financial failure? We can break the credit bubble, but we must take chemotherapy. Burn up fake debts. Slash false prices. Fire sale failed banks. Convert equity to wall paper. Convert debt to equity. Rematch the price of housing to income. Make it cheap to own or rent. We must re-balance the economy. 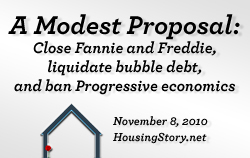 Simply massacre mortgage debt. Tear up all credit-bubble paper. It’s time to get to work. It’s time to get the real economy humming again. We can do that very easily. Crush, kill, and destroy credit-bubble debt and we are ready to fly upward. Previous work by the author on financial-crisis management. I like your attitude young man…but in the big picture, will we hurt ourselves more in the eyes of other countries by slashing all this debt?And further more….. If we were to slash and burn all the debt. What leads you to believe that the economy would start up again? If we went that severe (slashing all debt) , wouldn’t we be “apartment” dwellers in our mindset? …Meaning not buy much, because we own an apartemnt. 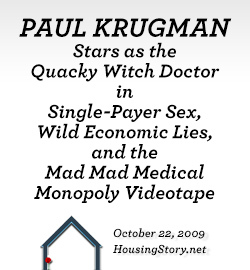 BEcause, the average AMerican, with good intelligence, would understand that the housing market is a loser…and without a bigger gain on your house per year , than the interest rate of the mortgage, there would be no reason to buy a house….in simple terms, I think this is correct. I hope this is clear….this is not easily communicated by one parapraph! The apartment dweller mindset doesn’t buy. Our economy seems to be successful, only when, people buy and buy…and really they buy what they don’t need. Look at the average American garage….I have bought or own about 12 computers for my wife and I (counting laptops and iphones!). That is America! Your observation of the government intervention showing little evidence of success is right on. Social engineering experiments from the central government needs to cease. 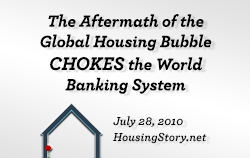 The best evidence of central government intervention gone wrong is the housing bubble. FNMA/FHLMC defines market value as the assumption the price is not affected by undue stimulus and the price represents the normal consideration for the property sold unaffected by special or creative financing. The central government’s perceived need to provide home ownership to all led to the creation and acceptance of “special and creative” home loan products. Government Agencies, Wall Street firms and banks utilized these “special or creative financing” to create “the undue stimulus” on the real estate market. These entities knew the consequences of their loan products and the bubble which would follow. 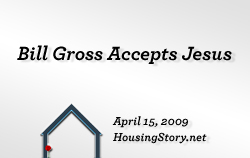 Beginning in 2002, home values inflated by 100% in a 3 year period in many markets. Under normal conditions, home price would have increased around 6%. 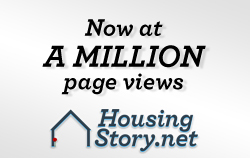 The created home values (100% vs. 6%) will have to be removed from current home values. 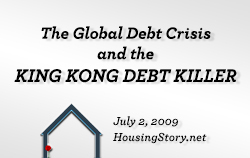 How do home owners, who were harmed by the practices of the central government policies, Government Agencies, Wall Street firms and banks, recover the artificially inflated value from their homes and the relief they deserve? The answer is NO INTEREST ON MORTGAGES for homes purchased after 1999; the advent of these “special and creative loan products”. The principal balance remaining on these home loans would be paid back over a 20 year period. In 8 to 10 years the artificially crated value will be removed at a cost of to the banks of underserved profit. Benefits: 1. Homeowners and investors of real estate during this period will be able to accelerate the pay down on their current loan and the recover the “artificial value” placed on their property. 2. The lower payments provided by this fix will place additional spending powers in the hands of the consumer. This will create the opportunities to: a) Pay off other debt. b) Allow for savings. c) Allow for discretionary spending for other products. d) As consumption returns jobs will be created. 3. NO INTEREST, No interest deduction for taxes, thus more revenue to pay down the deficit created by central government’s social engineering experiment. 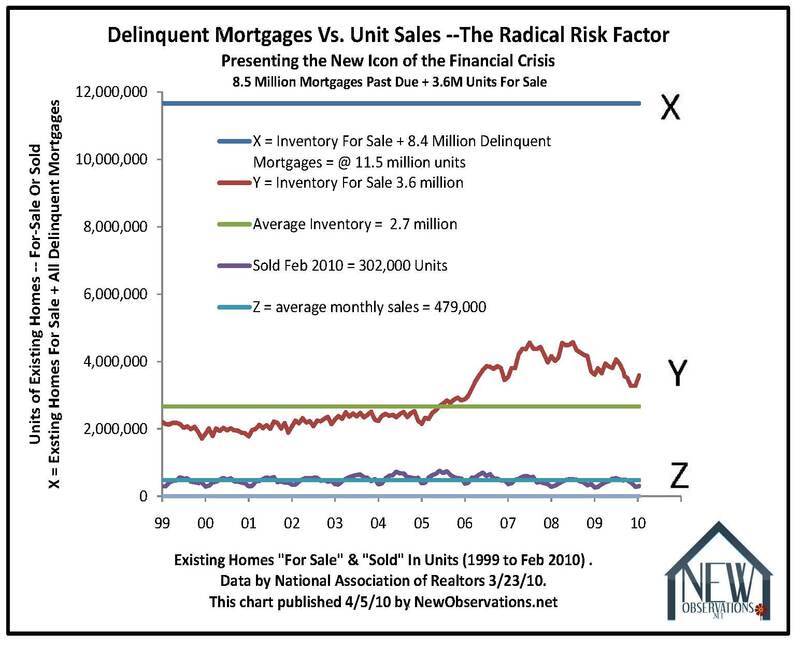 Let’s say we do let mortgages crash and burn, which would probably lead to delinquencies enough to fail most the large banks… is this the right path? Sounds very brutal, I’ve always felt stability is very important for economic performance, so how do you weight that in? I’m with you on most of what you say, but to nitpick for a second: I think it’s a little extreme to say that housing has been in a bubble since 1990. For instance, if you look at the Case-Schiller data for the NY Metro Area, you’ll see that housing sold off from ’88 to ”91 or ’92 and pretty much went nowhere until around ’97…after that the line starts to go vertical, particularly after the initial post-9/11 shock wore off. I remember buying a Manhattan Condo in ’98 simply because I would have paid appreciably higher rent for such a place than my all-in monthly ownership costs (regretfully, I sold the place in 2000). Anyway, I think, for the most part, on a national scale, anyone buying in 2003 and onwards was making a bad investment, value-wise (if not speculatively, if they sold before ~2006 — or maybe even later on in Manhattan). And maybe nominal prices return to pre-2000 levels — who knows. But, looking back, I think anyone buying a house throughout most of the ’90s was making a reasonable investment — particularly in Manhattan (or course, it’s always a case-by-case analysis and subject to each individual’s fiscal and earnings profile). Still love your blog…and, for what it’s worth, I think Manhattan residential real estate will be one of the worst performing asset classes for a loooooooooooong time.